In a country where tea is an extremely popular beverage, few are aware that within the plantations where tea is cultivated there is a silent epidemic that is taking the lives of hundreds of tea workers. 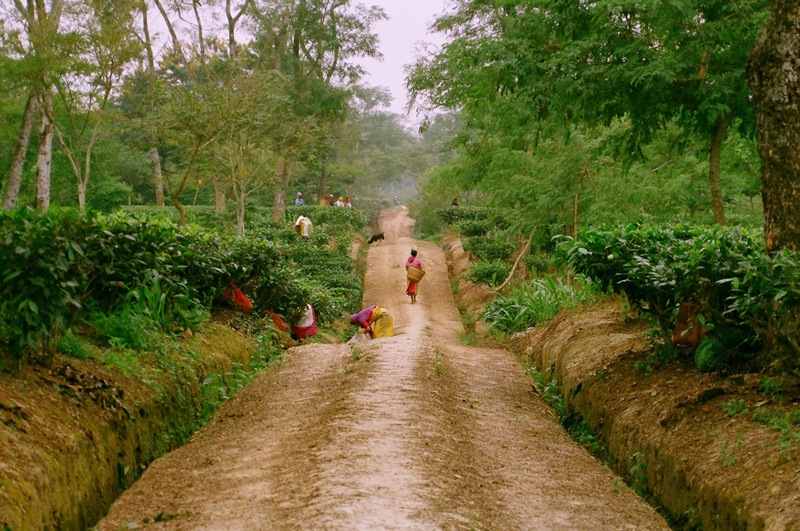 Between 2000 and 2015, 1400 people have died in 17 closed tea gardens in North Bengal. In these estates, it was found that severe malnutrition was the main cause of death. Many deaths have occurred in other tea estates as well but they have gone unreported. A majority of these starvation deaths have occurred in Dooars tea gardens in Jalpaiguri and Aliporeduar. The most affected are families who worked in tea estates that have been shut down. Loss of their only source of income has created famine like conditions in these closed tea gardens, resulting in high mortality within the community. Over the last decade, the death toll in tea gardens has been rising significantly. In the past few months, 50 people have died in Red Bank tea estate, 22 have died in Bundapani and 6 have died in Raipur. In Dheklapara tea estate, which has been closed for 12 years now, 39 people have lost their lives in the last four years. All those who paid with their lives worked in tea estates that are now closed. With no alternative jobs or income, it is a daily struggle to survive. The condition resonates across many other tea estates as well. In Madhu Tea Estate in Aliporeduar district, nine starvation deaths among tea workers have been reported. In working estates too, woefully low wages, non-availability of drinking water, sanitation and food items that have low nutrient content has led to hunger deaths. Six family members of workers died in June last year due to starvation. Two of them were children. The mortality rate is unlikely to decline since the living conditions of estate workers continues to be deplorable with abysmally low income and complete absence of healthcare, education and housing facilities. Food availability is very limited so families survive on meagre meals. Abhijit Majumdar, member of the Siliguri Welfare Organisation and Secretary CPI (ML), describes it as a condition of ‘perpetual famine’ prevailing in the closed or non-functional tea estates in North Bengal which, over the years, has become endemic. According to him, it is the oppressive wage structure and complete indifference on the part of the management that has driven workers into absolute penury. Those working in active plantations in the Terai region are in no better shape. Their minimum wages are abysmally low. Currently, most of them are paid 95 rupees per day while in Darjeeling up in the hills; it is lower at 90 rupees. The deplorable situation seriously affects their health. Long working hours in the scorching sun causes severe dehydration. A majority of workers and their families have also been found to be severely undernourished. To understand the extent of malnutrition among plantation workers, which is a major killer, a survey was conducted which found that more than half tea estates workers have Body Mass Index (BMI) of below 18.5. In India, the ideal BMI is 23 to 24. If the BMI is lower, then it becomes a potential health risk. A sizeable proportion of plantation workers were found to have BMI as low as 14. Similarly, among families, the BMI ranged between 17 and below 14. According to doctors, death rates in those who are below 14 are double than others. This data on nutrition deficit is an indicator that the entire community is at high risk. Longevity has been declining for quite some time now and has come down to 65 years. In 107 estates, there are no hospitals or medical facilities, so families do not have access to healthcare. Children too are severely affected. In 42 estates, there are no schools, so children are unable to get mid day meals. Currently, the only alternative livelihood for workers in closed estates is breaking stones on the riverbed. The meagre sum of money they earn from this task is not enough to meet their needs, driving them further into destitution. According to Dr Binayak Sen, well known paediatrician and public health specialist, who conducted the survey, a prime cause of chronic hunger deaths in this region is also linked closely with the sources of food and nutrition, which are seriously compromised in these communities due to non-availability of nutritious and diverse food products along with poor sanitation. None of them receive any benefits such as subsidised rations or have drinking water facilities or even toilets. As a result, limited intake of food along with poor hygiene has led to severe malnutrition, jeopardising their health. Sanjay Bansal, a prominent tea estate entrepreneur, who owns the popular Ambootia tea estate in Darjeeling, has worked to provide several benefits for his workers wellbeing. He says many gardens were rendered sick because of gross mismanagement since none of them were originally sick. The problem arises when a garden does not do well because of lack of vision, proper financial planning and administration along with the inability to propagate and practice good practices are the leading causes why the management falls short in meeting its commitments. This has had an adverse affect on the people whose livelihood revolves around these gardens. It has been found that plantation workers and their families are facing the brunt of the industry’s inaction. In neighbouring Assam, the condition of tea garden workers is equally dismal. Across all tea estates, excessive intake of salt in their tea has led to severe cardiovascular disease leading to high mortality. Dr H C Kalita, head of the Cardiology department, Assam Medical College, who conducted a survey in tea estates, found that hypertension was widespread and was much higher in those who worked in the plantations as compared to general population. The cardiac condition was linked to alcohol use and high salt intake. Sanjay Bansal says it has been a practice in Assam to drink tea in the field with pepper and salt and this system is continuing in many Assam tea estates over many decades. This tradition was introduced during British rule and since then estate owners have followed it. In order to deal with severe dehydration caused by long working hours under the sun and heat, owners provided copious amounts of tea, loaded with salt. However, the overdose of salt led to heart disease and many did not survive beyond the 40s. Even after the British left, in many estates in Assam salted tea is popular. As a result, workers suffer from hypertension and other severe cardiac problems. Death rates are on the rise because consumption of salt continues to be high. Tobacco is another addiction that poses high risk. In Pratapgarh tea estate in Sonitpur district, 20 people died in 2010. However, there is limited data on mortality. 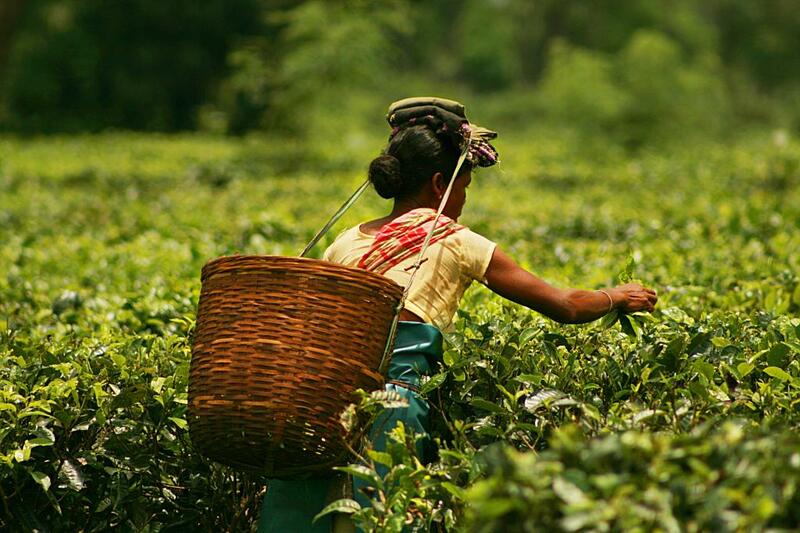 As witnessed in West Bengal, the government in Assam has turned a blind eye towards the plight of tea estate workers. No surveillance has been done to understand the status of tea garden workers nor has there been any attempt to provide healthcare, education, housing and other facilities. The wage structure and non-payment of wages and other benefits have also not been addressed or regulated. The outcome of such indifference is that living conditions in these estates are miserable. Bibek Das, member of the Sadau Assam Sangrami Cha Shramik Union, says that in many tea estates there are no toilet facilities or drinking water facility. Families use water from the river or from wells which are filthy, making them prone to infections. In these estates too, education for children and other fringe benefits are not provided. Many workers do not receive payment on time or are denied their welfare rights because only 790 out of 1500 tea estates in Assam are registered with the government. In non-registered plantations, workers are denied the benefits that they are entitled to. Wil Topno, also part of the Tea Workers Trade Union says that phenomenally low wages and indifference on the part of estate owners and their management along with complete lack of concern and empathy have left workers and their families deeply impoverished. Severe malnutrition, anaemia and tuberculosis are the major causes of death, along with cardiac problems that are far higher among workers than in the rest of the population. According to the National Rural Health Mission’s data, 80% of maternal deaths occur inside plantations. Since they are no hospitals in the vicinity or adequate medical help, in the case of high-risk deliveries or other complications both pregnant mothers and newborn infants lose their lives. Sanjay Bansal says the only way to prevent rampant starvation deaths and draw workers out of their impoverished lives is for the industry to make radical changes in order to keep the estates active and running smoothly and efficiently but also ensuring that workers get the benefits that they are entitled to. He says the common tea workers, apart from increased wages, should get social security and other employment benefits like free potable water, housing, electricity, medical, fuel, heavily subsidised rations, access to primary education and amenities like protective clothing, umbrella, blanket and footwear so that workers are less prone to life threatening diseases and are protected. Abhijit Majumdar and Bibek Das also add that if tea garden workers are to get their rights, they should not be treated like outcastes and discrimination must end. Majumdar says it is imperative that along with increasing wages and provision of welfare schemes as per the law, healthcare facilities need to be provided to the workers so that families have access to treatment, medicines and care and do not have to compromise their lives. The need of the hour is for the government, tea manufacturing company owners and their managements to wake up and address the imbalances that continue to pose a threat to tea estate workers and their families so that the inequities that they have faced so far can be dissolved. Only then will the silent epidemic of starvation deaths end.